Enjoy high-quality portable sound with the silver R-24 Portable AM/FM/SW1/SW2 Radio from QFX. This retro-styled, four-band radio allows you to listen to your favorite AM, FM, and shortwave radio stations. It features a high-power dynamic speaker, LED power indicator, and easy-to-read tuning dial. It's also equipped with a headphone jack for when you want to listen to audio through a compatible headset. The R-24 can be powered by using the included AC cable, a separate DC power adapter, or three size D batteries, also sold separately. 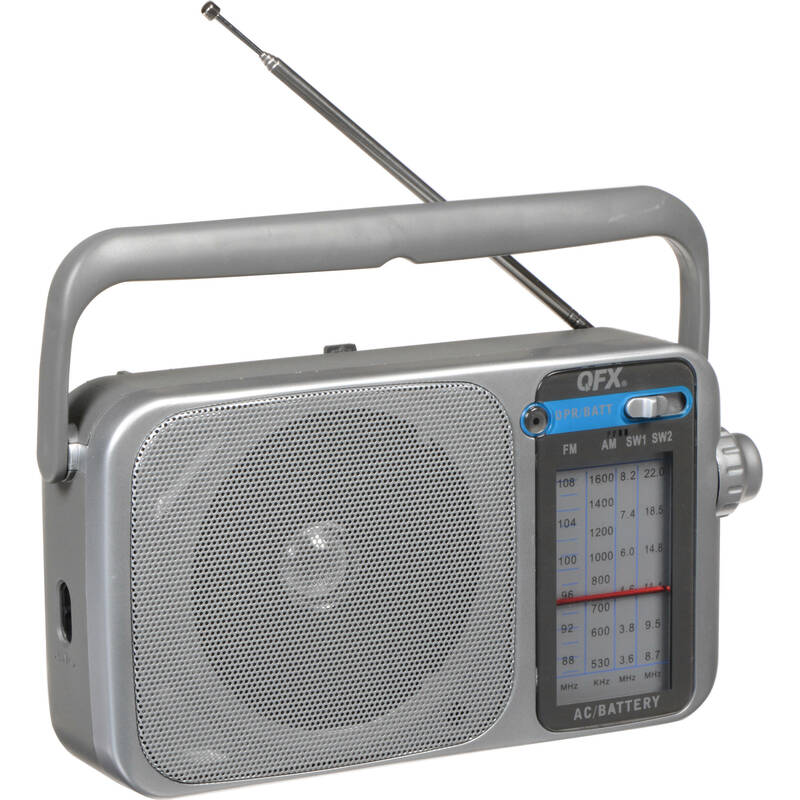 R-24 Portable AM/FM/SW1/SW2 Radio (Silver) is rated 3.0 out of 5 by 2. Rated 1 out of 5 by Joel from Don't buy this Nopes. This thing just doesn't play any local stations without issues. Quality is horrible. Terrible hissing, too. Rated 5 out of 5 by Md. Rezaul from Radio Crazy I'm Radio Crazy. At present I have four different types Radio and I using regularly. But this QFX R-24 Radio is so nice & looking attractive of them. Design, size, weight, operating, bands etc. all are perfect to use this.